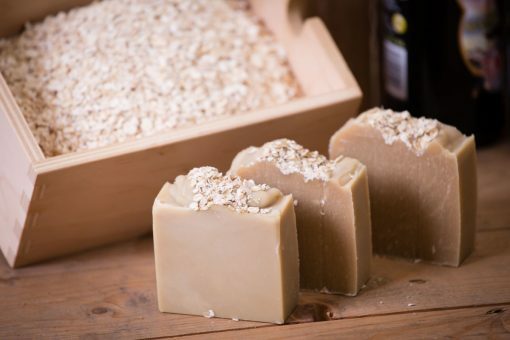 Beer Soap is a luxury soap that lathers beautifully with a light malty scent. It makes an ideal gift for him, but can be used by the whole family! 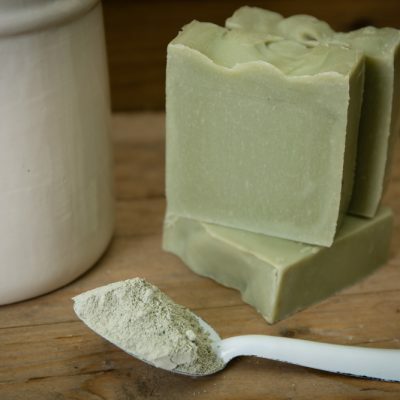 We cook the alcohol out before using it for soap-making, and reduce it down to a concentrated beer syrup to ensure that each bar is packed full of nutrients and minerals which are good for your skin. Hops contains amino acids which can help soften skin and soothe inflamed or irritated skin, and vitamin B helps to replenish your skin’s natural moisture and treat dryness. Brewer’s yeast is a fantastic antibacterial agent which is ideal for problematic skin conditions like acne. ONLY THE GOOD STUFF: alcohol-free beer reduction, natural oatmeal, vitamin-rich avocado oil, moisturising shea butter, cleansing castor oil, vitamin-rich olive oil. restorative coconut oil and Vitamin-E packed responsibly-sourced palm oil. 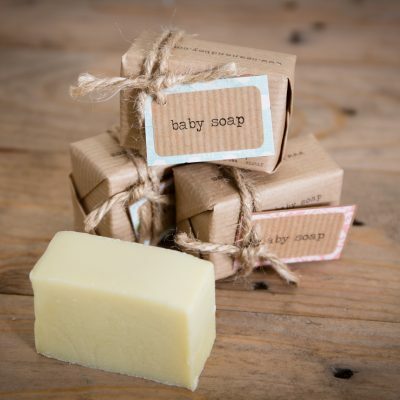 This fragrance-free soap is smooth and clean, and is ideal for delicate skin. It is topped with a light sprinkling of exfoliating oats. 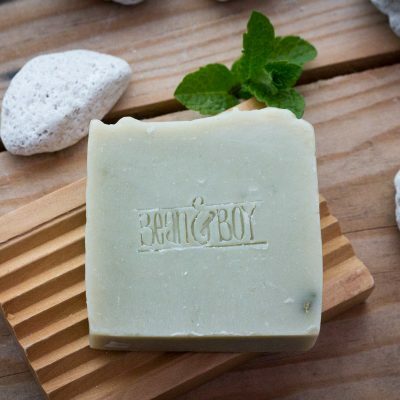 Because each bar is made entirely by hand, soap colour and shape vary slightly from bar to bar.